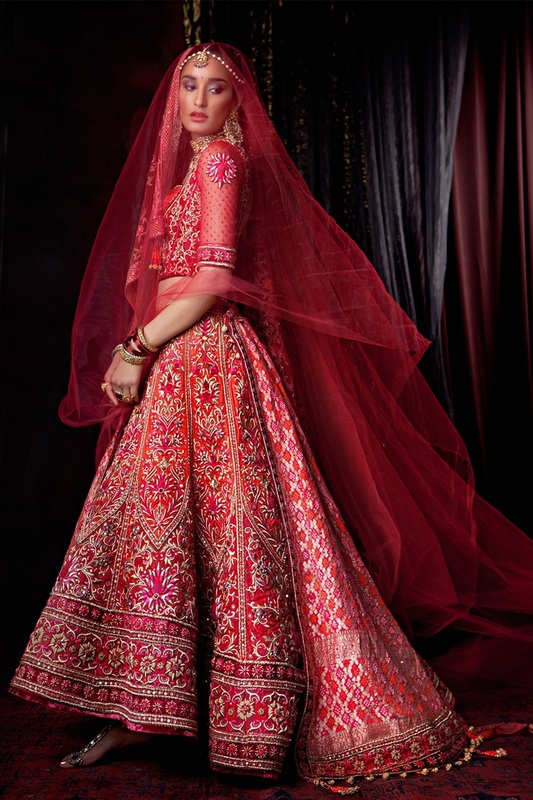 Check out all new and latest trends in Indian bridal wear. Follow these hot fashion styles of 2015 and look gorgeous on your wedding day! 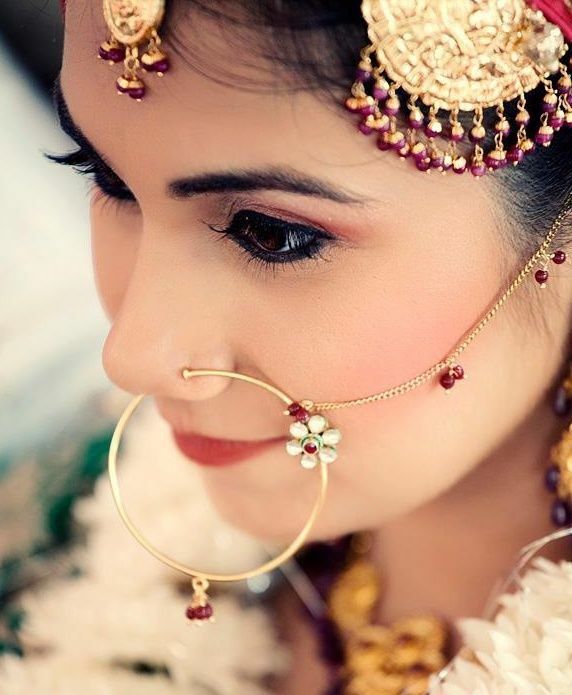 Indian bridal trends have come a long way from where they started. Typical and traditional styles and rituals have evolved and become more glamorous and fashionable today. So let’s take a look at some of the most popular trends of bridal wear this wedding season. 1. 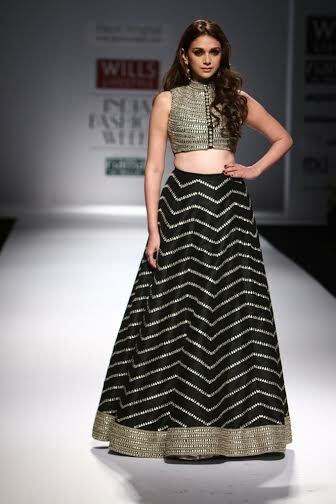 Crop top lehengas: One of the biggest trends on and off the runways, this season is the crop top lehenga. Simple and short relaxed blouses worn with a high waist lehenga skirt is one of the most popular choices of all young girls heading for wedding parties. This is a very versatile style and can be mixed and matched with innumerable prints and patterns to create a stunning visual treat. Try sequined blouses paired with heavily embroidered skirts for a bling look. Alternatively try wearing a plain crop top blouse with a shimmery and flowing skirt. This style doesn’t even require a dupatta, you can just go ahead and experiment with your choice of color, pattern, and style. 2. Maatha patti: Elaborate maatha patti’s or headgears are all the rage these days. Worn by celebrities, endorsed by designers and loved by all, this trend is taking the fashion world by storm. It has been a traditional adornment in our culture since hundreds of years, but when Deepika Padukone wore it at an award function, everyone wanted to try and put their own spin on it to revive it again. And today it is a beautiful accessory that is adorning the crown of most brides and bridesmaids. 3. Zari and embroidery: Beautiful zari patterns adorning the borders of lehengas, saris, and even salwar suits are noticeable at all wedding functions these days. Innovative zari patterns in gold and silver seem to be hit, whereas heavy embroidery on solid colors is a must-have for at least one of the wedding outfits. Zardozi and crystal embroidery is a hot favorite among most, and designers are coming up with fascinating and innovative ways to showcase it in bridal wear. A noticeable element in this trend is that all the heavy embroidery and beaded work is offset by a beautiful, sheer cloth incorporated in the outfit. This may be in terms of the dupatta or the pattern on the blouse, but designers have found the ideal balance between subtlety and going over the top. 4. Pearls: Nothing signifies class and elegance as well as a delicate string of pearls. A long time favorite through the generations, pearls are coming back in a strong way to beautify the new age bride in a surreal and sophisticated fashion. 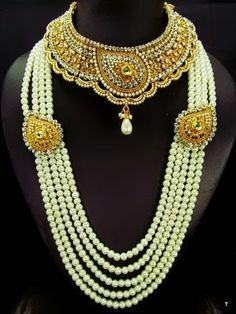 Necklaces, earrings, bracelets woven with gold and pearls are a treat for the eyes when worn with stunning bridal attire and this is a trend that is definitely here to stay. 5. Bold jewelry and muted colors: Oversized nathni’s, statement neckpieces and large ear cuffs are a must-have on the checklist for the new bride today. Bold jewelry and understated colors are high up on the trend charts this season. Big and bold is the way to go as dictated by the fashion trends of the season. So don’t be afraid to explore something new. Add a nathni with meenakari work to a muted coral colored lehenga outfit or team up a large and elaborate gold Kundan necklace with a plain navy colored salwar kameez. Mix and match to find your personal style.